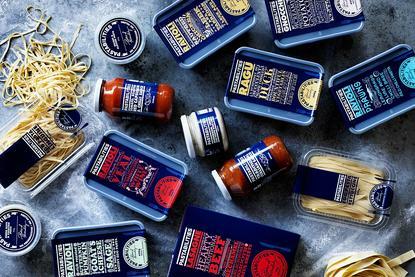 Investment into a home-grown CRM platform and ecommerce portal is helping making it easier for customers to cook up new orders with Australian pasta brand, Pastabilities. The 20 year-old Sydney-based SMB was struggling to manage exponential growth in customer orders and intelligence prior to the decision to rollout a CRM platform, its director, Luciano Schettini, told CMO. The business serves four categories of clientele: Food service, fine food stores, supermarkets and retail. “With such a large and expanding customer base and the dynamic and diverse nature of each market we operate in, it has been very challenging for us to organise essential customer information,” Schettini said. The catalyst for seeking a fresh technology solution was the appointment of a new sales manager from a larger company with more experience in CRM, who required quick and easy access to customer information, Schettini explained. Pastabilities opted for a platform from Australian software provider, Tall Emu. The solution includes CRM along with a fully integrated ecommerce website, both of which are linked to Pastabilities’ MYOB accounting system. This provides immediate access to all customer data including order history, product preferences and contact information. Schettini said the technology will not only allow Pastabilities to provide a more personal and efficient service, but also target customers with special offers and new products they are likely to be interested in. Integrating data sources into one platform has already created huge operational efficiencies for sales staff, giving them the information they need at their fingertips. On the ecommerce front, retail customers can now order Pastabilties’ range of pasta products, including fresh flat pasta, ravioli, gnocchi, lasagne, pasta sauces and pestos, online. The digital offering will be rolled out to delis and restaurants shortly. Schettini also flagged plans to have different price platforms for all customers embedded into the system, along with the right shipping details and pricing based on their location. Schettini said he chose Tall Emu because of the affordability of the technology, as well as the company’s ability to customise the platform to suit his needs. CRM hasn’t proven a simple and easy fix, however. The work was initially expected to take six months, but Schettini said the project had extended out to a year, as the two companies found it necessary to tweak the software functionality to suit Pastabilities’ unique business and customer base. But Schettini is convinced of the long-term benefits. And while it’s early days, Pastabilities has further plans for the software. These include integrating the Tall Emu CRM system with its existing phone system to enable sales staff to recognise callers and immediately have all customer information and order history in front of them. In addition, Schettini wants to have the CRM program automatically generate packing slips for each order. The ultimate measure of the technology investment will be growth through retail, which has been a small percentage of Pastabilities’ business to date, Schettini said. “We are anticipating significant growth through Web orders, email marketing and an altogether more efficiently run business,” he added.